1st Place: The team of Mark Farver and Steve Kline appear ready to wreak havoc on R & B members throughout 2017. Back to back wins in the Open Tournaments is certainly impressive, but consider out of the 12 open tournaments since 2012, no team has accrued two victories. Fishermen, beware. With minimal experience on Manitou, the duo just "went fishing." Unfortunately, after two hours their livewells were still empty; that is until Mark made an observation, "We came across some clearer water, and I saw a dead shad floating. So, I threw a swimbait and immediately caught a small fish." Steve followed suit, and the beat down was on. 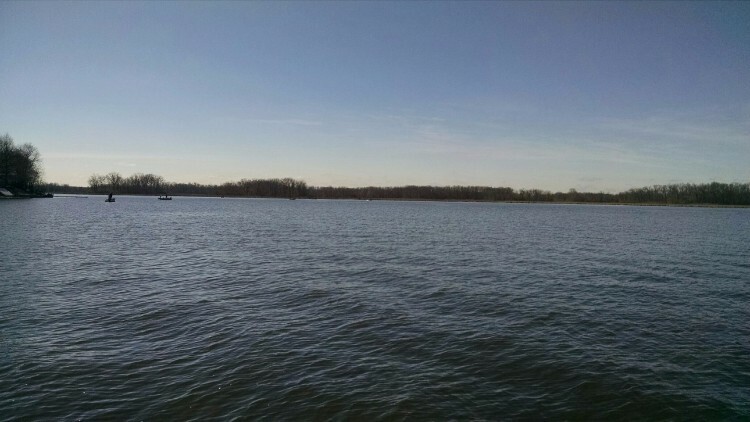 From that area, no longer than 50 feet, they stuck a dozen keepers. 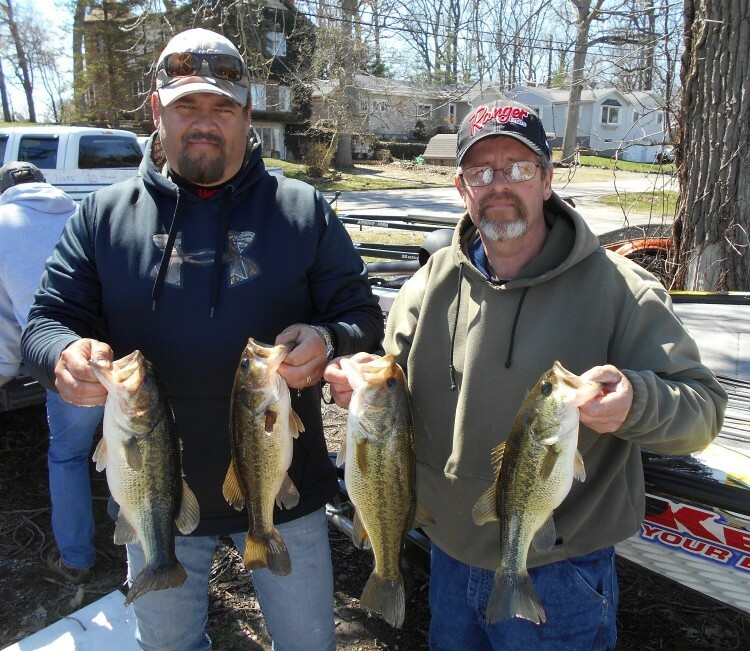 ​​Their 11.68 pound limit won them $600. 2nd Place: The top 3 teams were separated by just 7 hundredths of a pound! 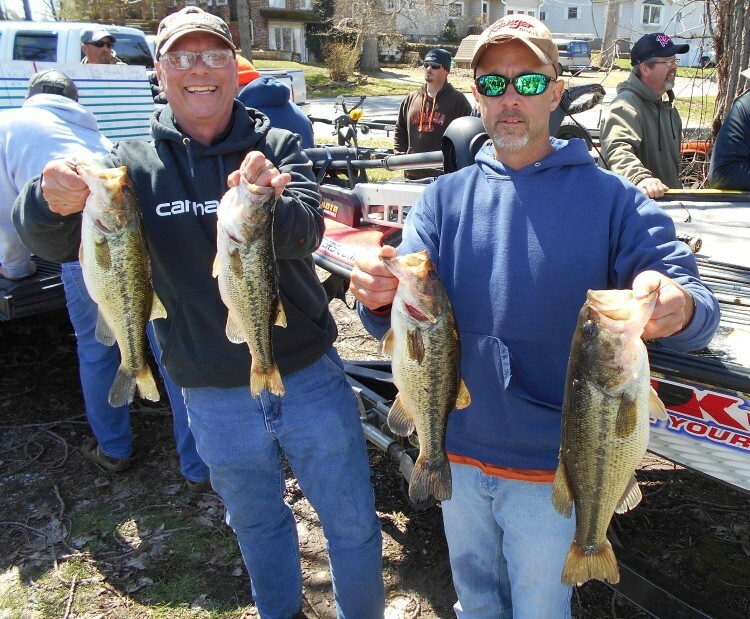 Pat Cox and Jim Hippensteel pieced together an 11.64 pound limit by working jerkbaits and jigs between 12-14 feet of water. 3rd Place: Ron Fabiszak and Tad Hepler brought 11.61 pounds to the scales and were anchored with the biggest bass of the tournament - a 4.47 pound beast. 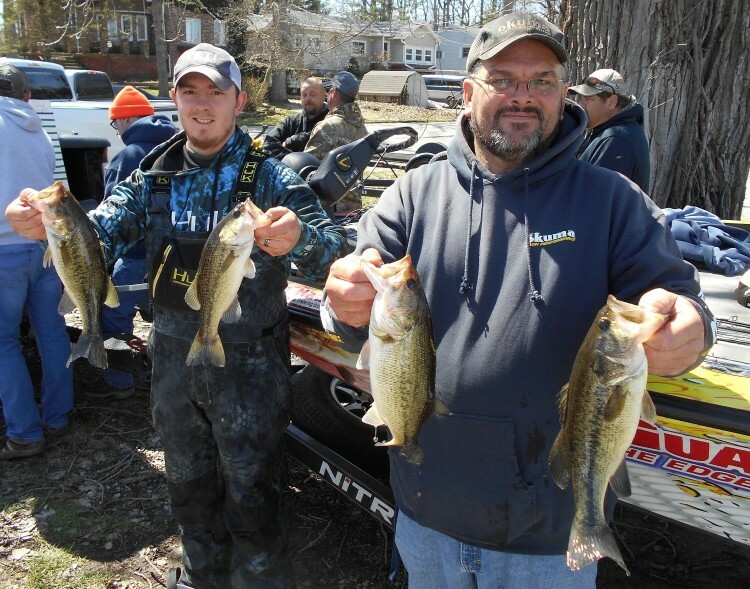 T​he finish was worth $200 with the big bass worth another $300. 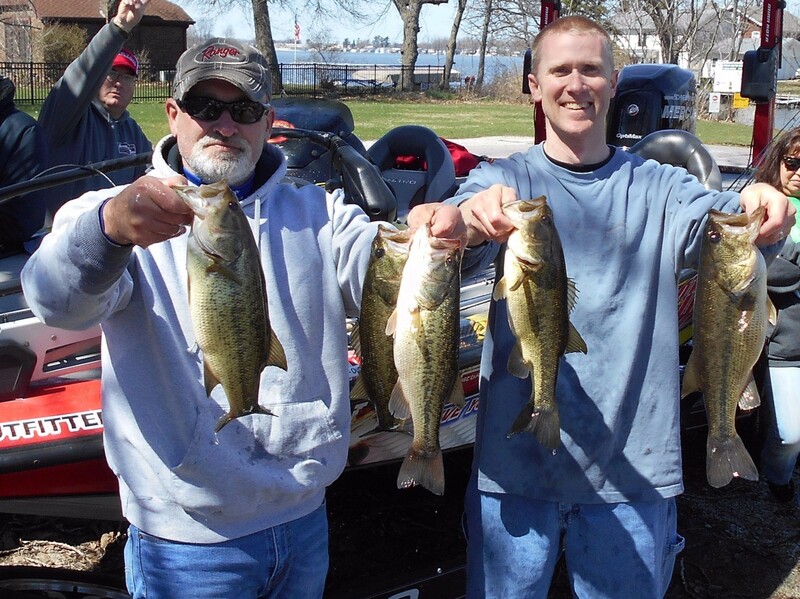 All of their fish came midday during one hour on jigs and lipless crankbaits in less than 3 feet of water. They ​​caught 7 keepers total. 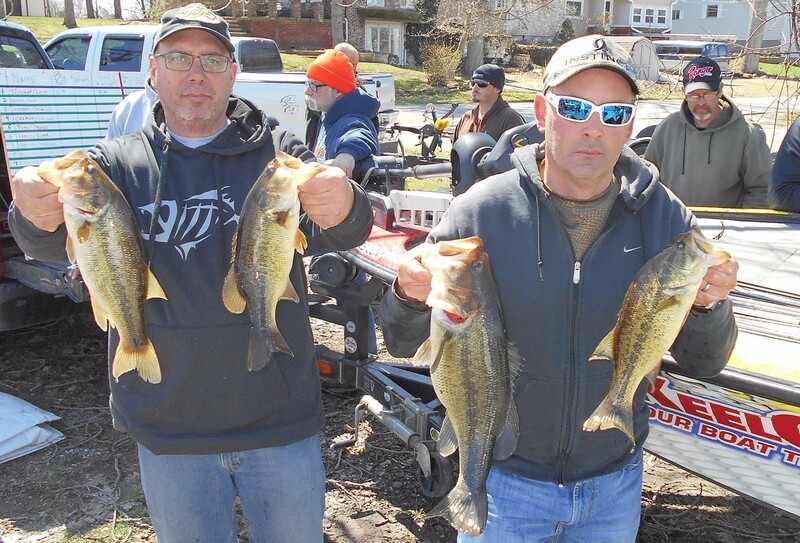 4th Place: Steve Prange and Andy Buss (left) went through 15 keepers before settling on a 10.19 pound limit to win $150. 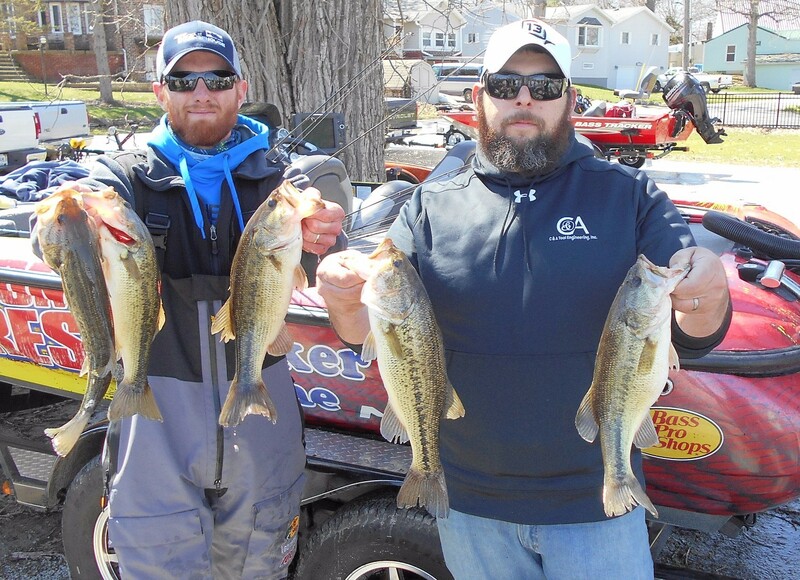 6th Place: Last year's winners, Andrew Quillen and Dan Brock, weighed 8.79 pounds to win back their entry fee of $60.